Here is another of my Photographs from Paris. 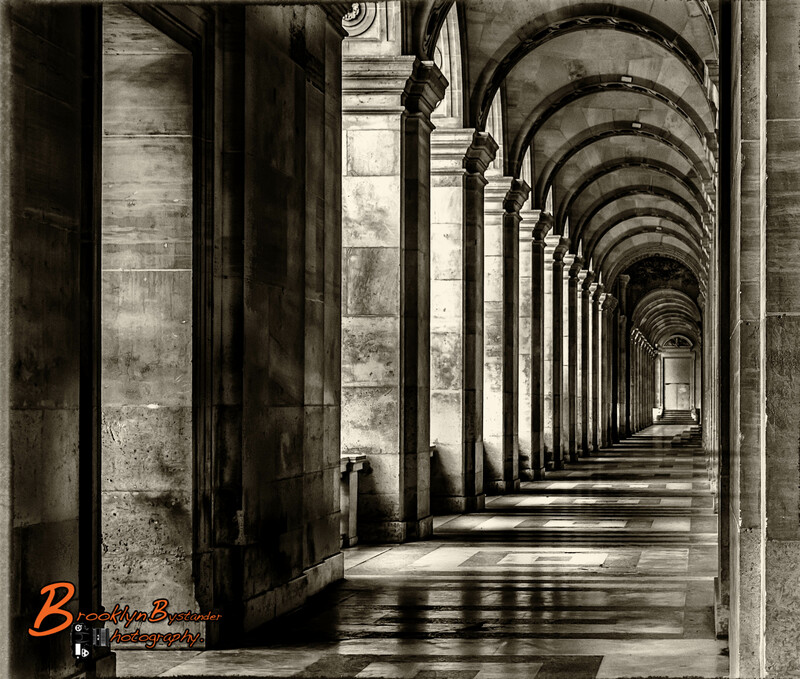 I love the Light in between the columns and the B & W adds to the atmosphere of the Photograph. This entry was posted in Photography and tagged architecture, black & white, digital, Light, Lightroom, Paris, Photography, Silver FX Pro. Bookmark the permalink. Great shot Mike, looking down the cloister almost has fractal feel to it. I think the light from shadow to highlights are spot on, the image has oodles of interest. Cheers, K.
Hello Mike, you are welcome. I thought what you did with the shot was really engaging. Particularly the repetitive nature of the scene and the relationship between the lights and dark areas. Quite powerful. Always good to see your work. Cheers, k.
Perfect image all the way around! Love this…making poems swirl around my head. 🙂 Your talent is amazing! Spectacular, Mike! The light is amazing. What a wonderful image, superb ! Mike, this is a crazy good image. I love everything about it. No man, you made a really good shot.